…Maybe that’s why the U.S. has banned gold as alternative currency for domestic transactions? And think about the late 1970’s out-of-control monetary inflation and all the asset bubbles and busts, related speculative trading, and financial crises since 1971; could the fact that the U.S. dollar is now a fiat currency be causing a lot of these problems? I’m not sure, but it seems logical and possible based on my study and experience. The Fed has admittedly lost control of the money supply; something Nobel Laureate and monetary expert Milton Friedman said was of paramount importance for any prudent central bank (to strictly control). And during much of Greenspan’s, Bernanke’s, and now Yellen’s tenure, the Fed has adopted highly subjective and largely unaccountable monetary policies. (Even after all that has happened, they are fighting to prevent Congress from auditing their monetary policy decisions and affects on our economy.) And I can’t remember the exact date, but in the 1970’s Congress gave the Fed a dual mandate; they added “full employment” to the Fed’s “stable prices” mandate. Just look at asset price volatility since. I and many respected economists and current and former central bankers (former Fed Chairman Volcker and the current head of the Swiss National Bank) believe this dual-mandate is not achievable, has politicized the Fed and encouraged them to focus on employment at the expense of price stability; especially asset price stability which is critical to investing, borrowing/lending, and the health of the financial services sector. Maybe its time to “End the Fed”? At a minimum, its time to “Audit the Fed.”, Mike Perry, former Chairman and CEO, IndyMac Bank. 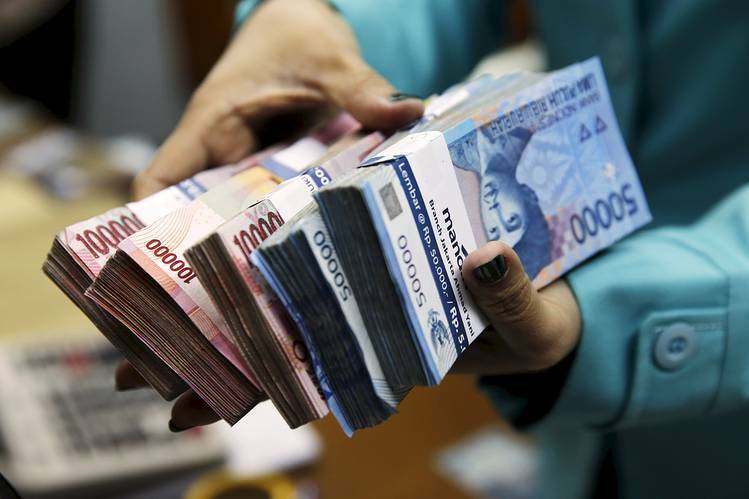 JAKARTA, Indonesia—Indonesia’s central bank is pushing through a regulation prohibiting foreign currencies, including U.S. dollars, from being used in domestic transactions as it tries to get a grip on the falling rupiah. The regulation, which takes effect Wednesday, has raised uncertainties and concerns of increased operating costs and other risks among businesses involved in mining, oil and gas, manufacturing and property: firms that transact in U.S. dollars as a hedge against the rupiah, a historically volatile currency that has been on a downward slide over the last four years. Trust in the rupiah has been fragile ever since the Asian financial crisis in the late 1990s, when its value went into free fall and Indonesia went under an International Monetary Fund rehabilitation program. 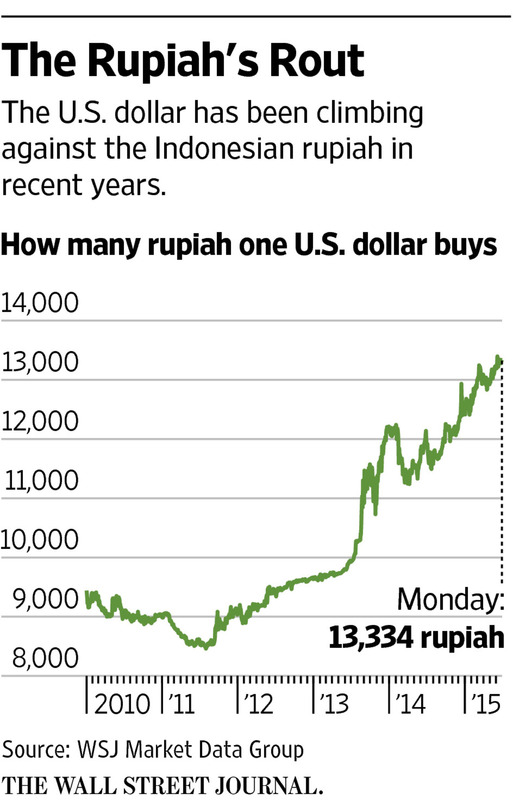 The rupiah has become one of Asia’s worst-performing currencies this year, depreciating around 7% against the dollar. Bank Indonesia says the prohibition against foreign currency in domestic transactions is intended to reduce reliance on the dollar and other foreign currencies and mitigate against capital outflows. According to Bank Indonesia, transactions within the country in currencies other than rupiah amount to $73 billion a year. Prices for all goods and services will need to be quoted in rupiah only, a measure that will affect prices for hotels, rents and professional services, such as legal advice, insurance and accounting. For instance, around 80% of office rents are paid in U.S. dollars. Companies fear they will be forced to bear the cost of the rupiah’s volatility and haven’t been given enough time to set up new accounting mechanisms. As is often the case with Indonesian regulations, the law empowering the ban was passed several years ago but implementation has only been announced over the past three months. Bill Sullivan, a legal adviser to the mining, oil and gas sectors at Jakarta-based law firm Christian Teo Purwono, said companies are being forced to rapidly put in place complicated arrangements, adding to their costs. The shift comes at a time when President Joko Widodo’s government is struggling to draw investment to help fund infrastructure projects that are badly needed in this Southeast Asian nation of 250 million people. Economic growth has hit a six-year low and confidence in the current government’s ability to manage economic policy has slumped. “You can only implement this policy when the exit rate risk is relatively small,” said Muhamad Chatib Basri, a former finance minister and chairman of the Mandiri Institute, a research think tank affiliated with state-owned Bank Mandiri. Peter Jacobs, a spokesman for the central bank, said Bank Indonesia would consider allowing companies more time to put the rule into effect on a project-by-project basis. “If there are corporations that have concerns about transactions about any problems related to this, they can write us a letter and we’ll see the possibility to give them a delay,” he said. The regulation, introduced in April, included exemptions such as export and import transactions and international financing where the lender and borrower are in different countries. Legal advisers say the rules lacked clarity and left companies with questions about what exemptions might apply to them. The bank issued a subsequent circular earlier this month, but hasn’t granted any delays. Affected businesses say they are trying to minimize the impact of the regulation by building in market-based adjustments to help offset the rupiah’s volatility. Some property companies are considering a dollar-linked rupiah rate that changes with each billing cycle. Mr. Sullivan anticipates that equipment suppliers and others will increase their prices in rupiah to account for the risk of depreciation. That won’t be good for those needing those services at a time when industries such as mining and oil and gas are increasingly worried about costs, he says. A person familiar with the negotiations said companies aren’t necessarily opposed to the regulation, but they need less of a “light switch” conversion and a more staged implementation. Others say gray areas need clarification and that there needs to be a better understanding of how penalties will be enforced. “Basically, we support the Bank Indonesia policy, but we need guidance from them for the existing contracts,” said Budi Setiadi, vice president for government regulations at PetroChina, a state-owned Chinese firm with several oil and gas blocks in Indonesia. Under the regulation, existing contracts denominated in U.S. dollars are valid until they undergo a revision. The regulation includes activities associated with export transactions. In the mining industry, that includes items such as insurance, barges and loading and unloading of goods at ports.